Handling high voltage is the task an ignition coil must perform reliably. Weak ignition coils cause engine misfiring and performance problems. 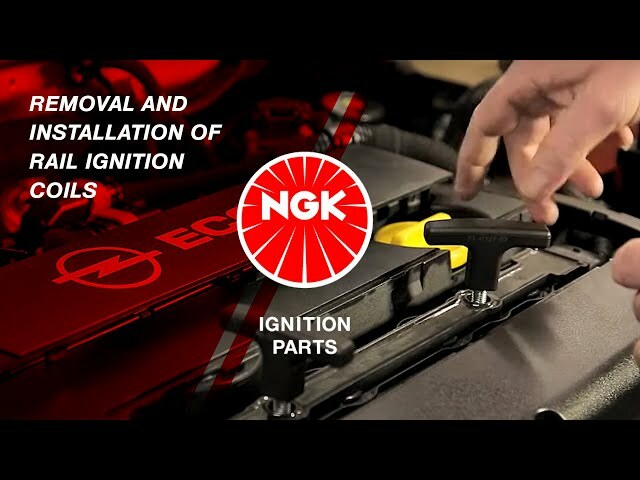 As one of the world’s leading ignition specialists, NGK SPARK PLUG offers an extensive range of ignition coils accurately engineered for a precise fit and perfect durability. Due to the high demands placed on ignition coils, the design and the materials used must be resistant to heat and moisture in the engine bay and function reliably. Oil and petrol vapours mustn’t be able to harm the housing, as damage to the housing would impair the function. With a distributor ignition coil, the high-voltage pulse generated by the ignition coil passes through an ignition cable to a mechanical ignition distributor. This, in turn, distributes the high-voltage pulse to the corresponding ignition cable, which provides voltage to the cylinder. This ignition coil type can be found in older vehicles; it was in use well into the 1990s. A block ignition coil contains multiple ignition coils that supply the spark plugs with the necessary high-voltage pulse through their respective individual high-voltage outputs and via ignition cables. Block ignition coils are offered with single and dual spark technology. Pencil coils require no ignition cables; they are attached directly to the spark plug and the high-voltage pulse is generated directly at the spark plug. The advantage: there is essentially no voltage loss caused by the cable. In addition, this compact design provides for valuable additional space, which is particularly important in modern engines. This ignition coil type is comprised of multiple ignition coils, which are combined to form a single, compact component. All ignition components are connected to the spark plugs in one step. This type also includes so-called “rails”. November 2015Removal and installation of rail ignition coils.